Let your senses delight in the experiences of true southern hospitality as you taste the soul food, listen to jazz and blues music, delight in beautiful gardens and Antebellum homes; and feel the history run through your bones. Welcome to Atlanta, Georgia. DuringÂ the Civil War, Atlanta was one of theÂ most important Southern Cities as itÂ provided war materials to the South.Â In 1864, General Sherman marched intoÂ Atlanta and burned the entire city. The cityÂ recovered from its losses and today is oneÂ of the most dynamic in the South, boasting aÂ successful cultural and business hub. TransferÂ independently to your hotel where you will meetÂ your ATI Tour Director. This morning, enjoy a city tour ofÂ Atlanta and learn about one of its mostÂ famous residents, Margaret Mitchell.Â In 1936, Mitchell published the bookÂ â€œGone with the Windâ€. It depicted the life of theÂ daughter of a plantation owner and follows herÂ life through the Civil War and Reconstruction.Â The story takes place in Atlanta and south ofÂ Atlanta in a small town named Jonesboro.Â This morning, you will visit the Road to TaraÂ Museum and Stately Oaks Plantation whichÂ was the inspiration for Tara. You will have theÂ opportunity to see memorabilia from the movieÂ including costumes worn by the stars ClarkÂ Gable and Vivien Leigh. In the evening, enjoyÂ a welcome reception which will give you theÂ opportunity to meet your fellow travelers. Leave Atlanta today and headÂ west to Augusta. Augusta is theÂ second oldest city in GeorgiaÂ and is home to the prestigious MastersÂ golf tournament. In the afternoon,Â we will arrive in historic Charleston.Â You will have time to stroll down theÂ cobblestone walkways and admire theÂ fine architecture. In the evening, youÂ may want to enjoy a romantic carriageÂ ride or a sunset cruise (optional). Enjoy a locally guided tour ofÂ Charleston and spend the afternoonÂ at leisure. Walk the streetsÂ of Charlestonâ€™s preservedÂ historic district, the best protectedÂ in the nation. Natural disasters, theÂ Revolutionary War, and the Civil War allÂ took their toll on this beautiful city, yetÂ it stands out as a historic gem of theÂ South. You may wish to participate inÂ an optional excursion to historic BooneÂ Hall Plantation with its famous AvenueÂ of Oaks. The property has appeared inÂ numerous movies, among them â€œNorthÂ and Southâ€. Today, your road leads youÂ further south to Savannah. EnÂ route stop on Port Royal IslandÂ and see Beaufort, South Carolinaâ€™sÂ second oldest city. Its impressiveÂ Antebellum architecture has been theÂ backdrop to a number of HollywoodÂ movies, including â€œForrest Gumpâ€.Â After lunch continue on to Savannah,Â once the worldâ€™s largest cotton port.Â When cotton was king, SavannahÂ controlled the prices of the worldÂ cotton market at her cotton exchange.Â Founder James Oglethorpe laid out theÂ city squares. The Civil War destroyed aÂ large portion of Georgia, but SavannahÂ was spared. Numerous buildingsÂ around the tree-shaded squares areÂ hundreds of years old; many of themÂ are very well preserved and someÂ remain open to the public. You willÂ enjoy a historical guided tour (included)Â to learn more about the fascinatingÂ history of the Antebellum residences.Â The old cotton warehouses that lineÂ the river are now converted into shopsÂ and little restaurants, frequented byÂ locals and tourist alike. Leave Savannah with its AntebellumÂ homes and head on, driving southÂ along the coast of Georgia. TheÂ cities you will pass are as rich with historyÂ as they are full of charm. 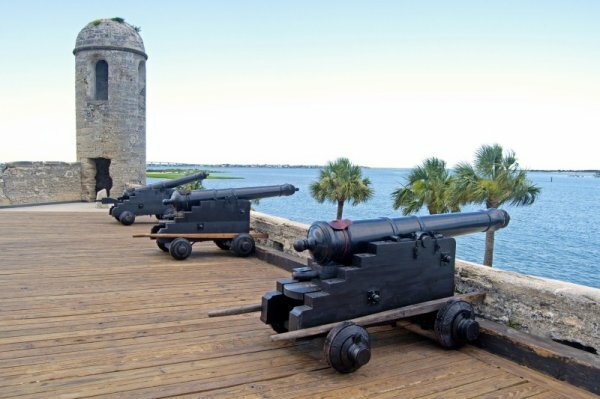 In the afternoonÂ you will enter the Sunshine State of Florida.Â Enjoy a stop in the charming city of St.Â Augustine, founded in 1565 by SpanishÂ explorers. It is the oldest continuouslyÂ occupied European established city & portÂ within the continental U.S. In the eveningÂ arrive in Floridaâ€™s state Capital, Tallahassee.Â Tallahassee is one of the nations smallerÂ and quieter capitals with oak lined streetsÂ and soft hills surrounding the city. Travel along Floridaâ€™s panhandle toÂ Pensacola, one of Floridaâ€™s mostÂ important vacation destinations.Â Pensacola was founded in 1599 and theÂ area is known for its miles of Gulf shoreline,Â many of which are preserved as stateÂ and federal parks. Next stop is Mobile,Â Alabama. Founded in 1702, Mobile rapidlyÂ became one of the most important portsÂ along the Gulf Coast. In the evening; arriveÂ in New Orleans, a city immersed in CreoleÂ culture. The city today is a unique blend ofÂ Spanish, French, Caribbean, African andÂ Anglo-Saxon influences. This is obvious inÂ the food, architecture and of course, theÂ music. Experience this melting pot aboard aÂ Riverboat Dinner Cruise (optional) and enjoyÂ the rhythms of a Dixieland jazz band. The day is yours to explore the charmÂ and excitement of one of Americaâ€™sÂ most unique cities and for you toÂ take in the French flavor & grandeurÂ of New Orleans. May we suggest startingÂ the day with a visit to a working plantationÂ (optional). Explore the French Quarter with itsÂ trademark wrought iron balconies overlookingÂ the narrow cobblestone streets. This morning, we will travel to theÂ capitol of Louisiana, Baton Rouge, andÂ conduct a brief city tour. From there, weÂ will travel via the historic Natchez Trace ParkwayÂ to Natchez. The parkway is a 444-mile driveÂ through exceptional scenery and years of NativeÂ American and European history. Natchez is theÂ oldest European settlement on the MississippiÂ River. 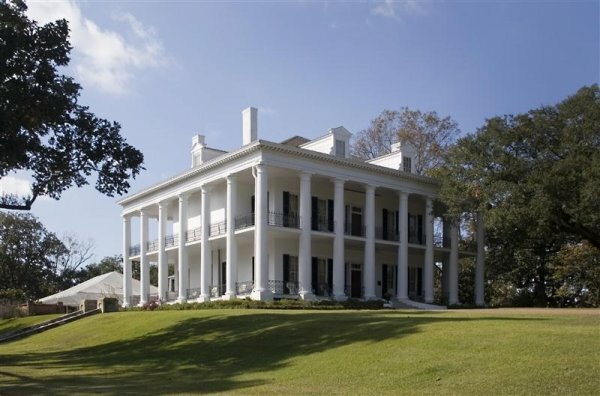 Before the Civil War, wealthy plantationÂ owners from Louisiana built magnificentÂ Antebellum homes here because the area wasÂ considered safer from flooding. This afternoon,Â we will visit one of the homes and learn aboutÂ the wealth of these 19th century millionaires. links in the cotton trade before the Civil War.Â Memphis is also known as the â€œhome of the blues.â€Â A brief city tour will take you to the cityâ€™s liveliestÂ street, Beale Street, where the blues and otherÂ types of music are played nightly in almost a dozenÂ clubs. Travel along historic Front Street, known asÂ Cotton Row in the days when cotton traders andÂ merchants conducted business here. Of course, noÂ visit to Memphis would be complete without a visitÂ to Graceland, the home of Elvis Presley (optional). Continue on to Nashville, known asÂ the capital of country music. The cityÂ earned its title with the very first airingÂ of the WSM Barn Dance radio program,Â the forerunner of the Grand Ole Opry. The newlyÂ renovated Ryman Auditorium in downtownÂ Nashville, once home of the Grand Ole Opry,Â the studios near Music Row, and OprylandÂ itself attest to Nashvilleâ€™s reputation as the mostÂ important city in country music. Leaving Music City, we head toÂ Chattanooga, home to the famousÂ Choo Choo and which has receivedÂ national recognition for the renaissance of itsÂ beautiful downtown and redevelopment of itsÂ riverfront. In the afternoon, our trails lead usÂ back to Atlanta where our tour comes to anÂ end. Your ATI Tour Director will be available toÂ assist you in arranging individual transfers toÂ New Orleans Atlanta International Airport.